Including SIBO, Candida, Parasites, Bacterial overgrowth etc. Do sugars & yeasts cause dysbiosis? 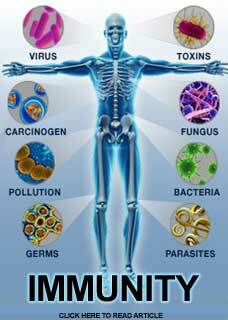 An abundant and continuing stream of scientific research is showing that our general well-being, and a great many health conditions, are far more affected by our 'microbiome', than we ever could have imagined. 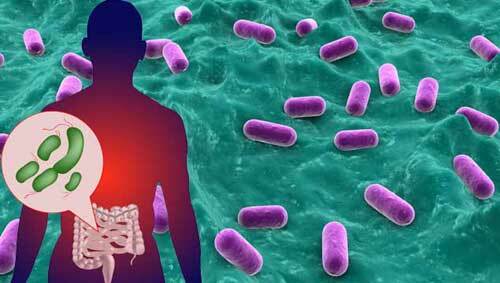 The microbiome is the word that describes our complex internal micro-biological life. Dysbiosis, literally translating to 'bad life'; dys meaning wrong, as in dysfunctional, and bio meaning life, as in biology. is where the normal, healthy balance of that microbiome has been damaged by an infection of unhealthy organisms such as parasites, fungi or harmful bacteria. Dysbiosis is immediately obvious when a person gets an acute infection in their gut because it typically causes a sudden, profound disruption in the form of vomiting, diarrhoea, fever etc. However, in many cases, especially when the infection becomes chronic and the body gives up trying to violently expel the invader with vomiting or diarrhoea, the problem develops more widespread effects. The classic and most prevalent effect of dysbiosis is an uncomfortable feeling of pressure, swelling and bloating in the gut that doesn't only happen after eating too much or eating certain foods. Most people with dysbiosis also get some degree of disordered bowel function in the form of loose stools, increased frequency or urgency in going to the toilet. Most report suffering from significantly more malodorous gas than usual. The successful diagnosis and treatment of dysbiosis has been seen to be the turning point in many people's health however, our first major challenge in this area, is that there are several other common health conditions that can give much the same kind of symptoms as those described above. Therefore, before focusing on dysbiosis as a certain issue, it can be wise to at least consider three other possible causes. Food allergy & intolerance can present very similarly to dysbiosis because of the same inflammatory response from the immune system to something in the gut that it sees as unwanted. However, in the case of allergy or intolerance, there is usually a history of digestive system problems going back much further, even into childhood, and there are usually other red flags for this such as a history of eczema, asthma, hay fever or migraine. IBS or irritable bowel syndrome usually starts in the late teens or early twenties and, whilst bloating and disturbed bowel function etc. are also highly likely, there is usually a much stronger correlation to stress as the primary contributor. 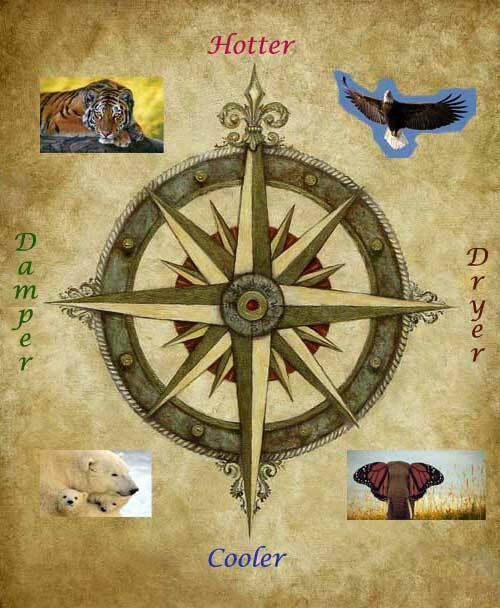 shared symptoms of dysbiosis, food allergy, IBS etc. Mainstream medicine's approach to diagnosing dysbiosis is to analyse stool samples but this is only truly useful when there is a frank parasitic infection with one of the organisms that cause acute infections. In fact, many people with who do in fact have chronic dysbiosis have their problem go undiagnosed as a result of this method. A key difficulty with diagnosing dysbiosis from stool samples alone is that everyone has enormous numbers of bugs in their gut even when they are in good health! The average person has 400-500 different kinds of bacteria and fungi growing in their digestive tracts at any one time. In fact, most adults have up to two kilograms and literally thousands of billions of microbes living in their guts when they are perfectly well! At least some of those organisms will be unhealthy and parasitic but this only becomes an issue when they overgrow and spread out past a point of normal containment. The gut microbiome is like a rainforest with hundreds of different species able to live together. It is It is their ratio to the whole of the microbiome that matters far more than finding them present in trace amounts in the stools. To further complicate matters you may not get a truly representative analysis of the situation from a one-off sample because we get a wide variation in the relative numbers of micro-organisms in the stools from a range of day to day fluctuations in things such as food intake, immune activity and the life-cycles of the various bugs themselves. One of the most useful ways to understand the cause of any chronic health problem is to closely question what was happening in a person's life when their problems first began. Many people who turn out to truly have dysbiosis were relatively healthy right up until the time they contracted a gut infection, often from eating out, or travelling, or moving into a new environment, and then everything started from there. Another common origin story for dysbiosis is when a person has had to take a course of antibiotics or antifungal drugs for some other reason whereupon much of the good bacterial flora in their guts has been wiped out and an infection of bad bugs has taken over the newly available space, and never left since. If you have good reason to think that dysbiosis may be your key issue, then the next thing to do is to practice empirical medicine. This is where, after forming a working theory of what the evidence best suggests is causing the problem, you then proceed with a treatment that you trust will be strong enough to effectively deal with that problem. If the person then gets better then you were right, if they don't get better then, so long as you were confident in your treatment, you must re-consider your hypotheses. If any of that sounds unscientific, you should know that the approach of empirical medicine continues to underlie an enormous amount of how all forms of medicine are practiced to this very day. People are complicated, everything is a theory until it can be proven. The following treatment steps are what we can be confident will either cure, or at the very least significantly improve, dysbiosis. If you were to spread out all the tiny folds in your digestive tract it would cover an area that was larger than two entire tennis courts. This happens because of tiny projections in the gut called 'villi' that are there precisely to increase that surface area enough that the essential process of absorbing nutrients can take place in an optimal environment. A good way to understand dysbiosis is to think of this space as being like a large lawn which has been over-run by unhealthy weeds, insects, fungi etc. In this case the first thing you must do is kill off the weeds, fungi etc. and then after that you can successfully plant new seeds to help regrow a healthy lawn. Dysbiosis can be a difficult problem to cure; whatever kind of 'bad-life' is in there you can be sure it won't want to leave so you must be prepared to give it a hard push to get out. Fortunately, there are two substances that no bacteria, parasite or fungi has learned how to resist despite thousands of years of their continual use in humans; Garlic and Wormwood. 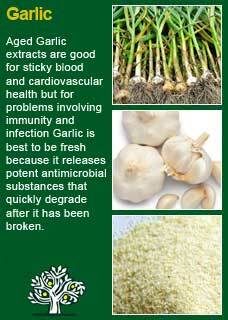 Dosage is crucial in herbal medicine. 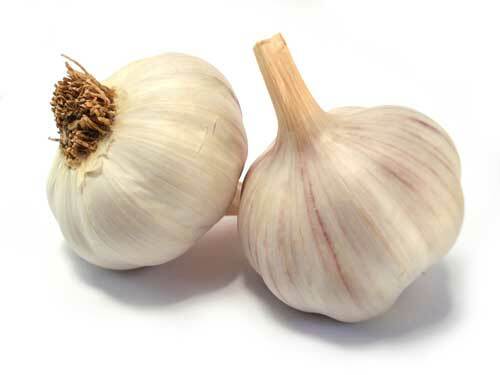 Regular amounts of fresh garlic in the diet will help prevent gut infections but to kill off a well-established dysbiosis you need a lot more than the regular amounts normally found in food, plus it needs to be raw! The length of time to properly do this treatment with Garlic is at least 6 weeks but be prepared to do extra weeks if you obviously improve on the treatment but start getting worse again when you stop. Parasites, in whatever form they come, are true survivors; you have to be prepared to keep making their home a most uncomfortable place to be until they finally give up and go for good. Do note that, according to the method of empirical medicine as described above, if you are not clearly responding to the treatment within 3 or 4 weeks then you should stop and pause for thought. ; because it may well be that the root of the problem is actually not dysbiosis but rather something quite different as discussed earlier. 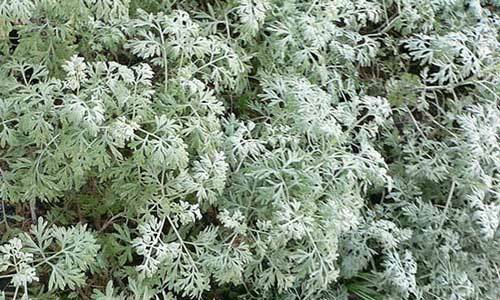 The second great herb for dysbiosis is Wormwood, it has proven to be exceptionally helpful at clearing out stubborn gut infections. Even the worst of the worst cases, e.g. 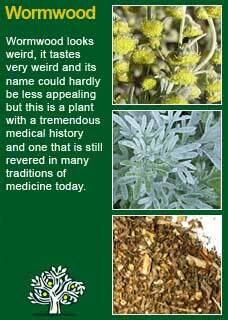 patients with medically diagnosed drug-resistant gut infections, almost always seen to eventually respond to Wormwood. You need to know that, after a few days of either Garlic or Wormwood, assuming you really do have dysbiosis, you are likely to get some die-off reactions. This process, called 'Herxheimer reactions', can make you feel quite seedy for a few days. How much it happens varies a lot between different people and likewise exactly how they feel is variable but people typically talk about having felt super tired, or how they felt like they had a flu with random aches and pains, or how their bowel got even more upset for a time. Also note that if any of this happens the first one or two times you take Garlic or Wormwood then it may be that these medicines are too strong for your system at those doses and you either need to reduce the dose or consider taking them in another way, e.g. chopping the raw Garlic into a soup so it is better able to be digested. However, if you are ok for the first few days but then you suddenly start getting die-off reactions, then be encouraged that this probably means you are on the right track and that you should just hang in there! Things usually do get better after a short while, i.e. a few days, and then it is usually noticeable that the person's health starts to significantly improve, especially as their immune system begins to register that it is finally winning against a foe it knows all too well but could not get on top of by itself. You will see, if you look into the literature on this subject, that there are many who advocate for the long-term use of antibiotic or antifungal drugs to treat chronic dysbiosis. It may be that this will be the right approach for some people but do not underestimate the power of herbs to help just as well, if not better, and you must know that taking antibiotics or antifungal drugs for any length of time is very hard on a person's general health. 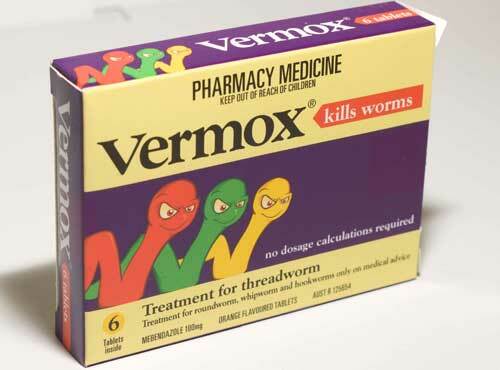 That said, if a person has actual, literal worms in their digestive tract then yes, they should still use Garlic and/or Wormwood for all the other dysbiotic organisms that may be present, but it is also recommended that they take a single dose of one of the pharmaceutical worming drugs such as Vermox. Such drugs paralyse the parasite and then interfere with its metabolism to the point it can be easily passed out. A worming pill will not harm you or your micro-biome and, even if this was only part of the problem, it will make any further steps you take to rebuild a healthy micro-flora all the more effective in a timely manner. Once you have started effectively 'weeding' out the dysbiosis you need to get and keep healthy bacteria inside your body for a very long time i.e. the rest of your life! Much more so than Garlic or Wormwood, or Vermox for that matter, good probiotics will be costlier but it will be worth it so long as they are alive and viable, more about that next. 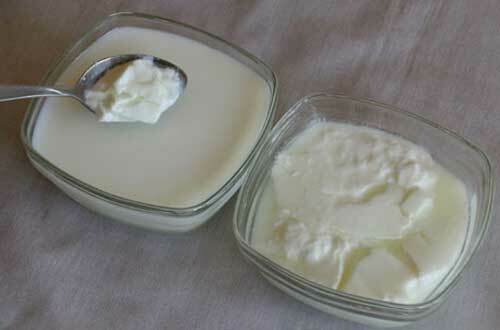 You don’t need large quantities of probiotics but you do need to ingest them regularly. Living, healthy bacteria can very quickly make more of themselves in the 'Garden of Eden' they consider your gut to be. The marketers of probiotics will try to convince you to buy their product above the others because it contains certain strains or so many billion more good bugs than the competition. Ignore them, all probiotics can be highly beneficial and it is not the quantity going in that counts, it is the quality. You must be certain that you have high quality, alive organisms so, at least once when you first start using one or another brand of a probiotic, put it to the test! The container that had the half cup of milk in should not thicken to any real extent within 2 days so long as the container was clean and is kept covered. The container with the probiotic stirred into it should obviously start to thicken, and the thicker the better! Good, viable probiotic bugs do not take long to rapidly repopulate themselves when they have a rich source of food, such as the milk. If you cannot tell much difference between the two containers, then you have either a dead or largely useless probiotic. This happens more than you might think, poor refrigeration during shipping and handling being the main reason. Discard it and try another brand. If you have the inclination, write to the company and explain what happened. Aside from a good chance of being refunded, it may make them investigate and take extra care of what happens after they ship their products. After all, they won't be doing anyone any good if they aren't viable. If we come back to the analogy of the lawn, the 'prebiotic' is that which prepares the ground for the seeds to be planted. 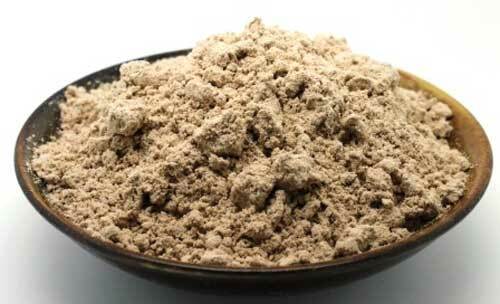 Not everyone needs to think about this side of things but, especially if you have a history of poor bowel elimination, or some specific areas of bowel pain, then it may be of much help to use either Plantago husks or Slippery elm powder. Again, in line with empirical medicine, we might choose to simply 'try and see'. Does the general condition and bowel health significantly improve on either herb? Does it worsen when they are stopped and again improve when they are re-introduced? 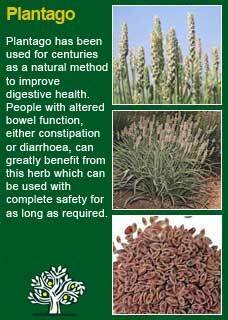 Plantago is particularly helpful as a bulking fibre, it is much used in herbal medicine for both constipation and diarrhoea as a balancing, steadying substance for the disturbed bowel. 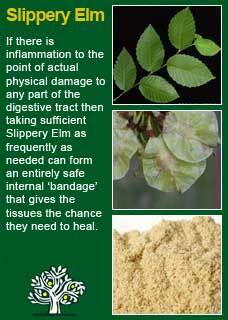 Slippery elm has no equal as a herb to help internally bandage a wounded gut. It can be especially valuable when a person has a specific area of pain or inflammation in one or more parts of their bowel. Probiotics and prebiotics will effectively re-seed and repopulate the bowel but, in the long-term, the goal should be to include fermented foods in the diet to continue to nourish and evolve a healthy micro-biome, as well as help prevent a reinfection of dysbiosis. 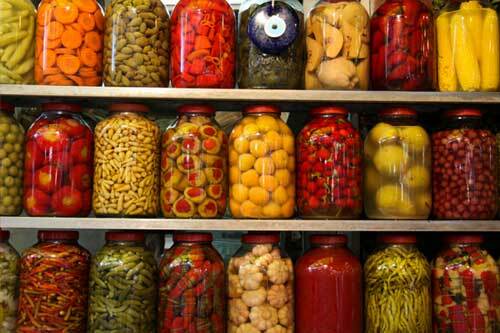 You will find a wealth of practical information on the internet about how to use and enjoy fermented foods. Try things out and find what suits your personal tastes to keep using regularly. A short list includes: yoghurt, sauerkraut, kefir, miso soup, kombucha, tempeh and pickles. Do sugars and yeasts cause dysbiosis? There is a major misconception in this area that has caused a considerable amount of stress to many people. It is the idea that came about in the 1980s when anyone with the symptoms of dysbiosis was thought to have an overgrowth of the fungal organism Candida albicans. Early writers in this subject were convinced that a diet that contained sugars and yeasts was much to blame for the problem and so strongly advocated extremely restrictive diet programs as part of the cure. It caused a considerable amount of stress because, unless you have tried cutting out sugar and yeast containing foods from your diet, you won't know just how limited your diet can become. People would report improvements so long as they strictly followed the regimen but, as soon as they relented from the program, their symptoms would come right back, it was demoralising and weakening. 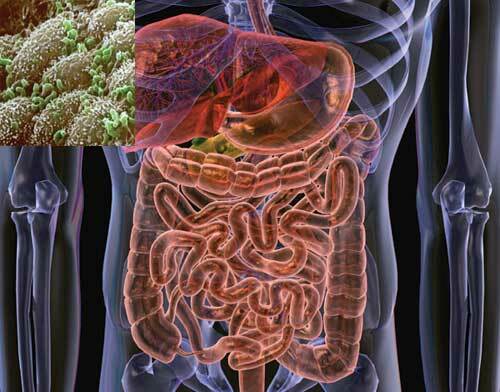 Organisms in the bowel will feed on whatever waste products are available to them. Avoiding refined sugars will help your immune system be healthier, which certainly is a big deal to getting better from dysbiosis, but such sugars are absorbed much higher up the digestive tract than the bowel. 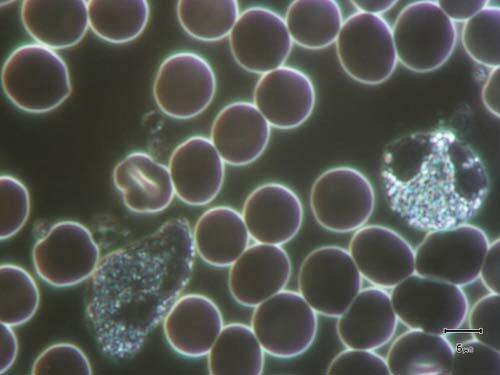 Dietary yeasts have nothing to do with anything unless you have an actual allergy to yeast or one of the ingredients in the yeast-containing food. The short answer to the question 'do sugars and yeasts cause dysbiosis?' is no. It is chronic infections of unhealthy organisms in the gut that cause dysbiosis and it is a certain fact that you may limit the food supply to these organisms by restricting your diet but that doing so will no more kill them off than it caused them to get there in the first place. Many people can cure their dysbiosis and prevent it coming back by occasionally having some raw Garlic in their diet and by having a reasonable amount of fermented foods or perhaps a supplement containing good bacteria to keep the gut healthy. Finally, you might benefit from learning about your constitution to know what kind of foods, herbs, exercises etc. will work especially well for your health in general.